Often seen as a workers' rights issue, worker misclassification can have a direct impact on the state's child support collections. Some workers want to be classified as contractors to dodge wage garnishment. Rex Gore said he’s noticed a trend when employees at his Texas-based Professional Janitorial Service suddenly decide to work somewhere else. When he hears about the former employee’s whereabouts later, he said, his suspicions are almost always confirmed: The person found work as an independent contractor to avoid wage garnishment. “Best you can tell it’s probably in an environment where they’re being paid under the table or being paid as a 1099 [independent contractor] employee, and in some way avoiding paying the garnishment,” he said. Ducking wage garnishment is just one problem associated with what’s commonly called worker misclassification, when an employee is wrongly classified as a contract worker. A legitimate independent contractor is a person who is self-employed and has control over how the services he or she is providing are fulfilled. An employee is under the direction of a superior. Purposely misclassifying workers as independent contractors — rather than employees — allows employers to avoid paying payroll taxes, overtime and workers' compensation. It’s a common problem in Texas, specifically in the construction and service industries. About 35,000 Texas workers were misclassified between 2010 and 2012, according to the Texas Workforce Commission. Their employers should have paid about $2.4 million to the state’s unemployment insurance fund, according to a report by the Legislative Budget Board. Misclassification's effects on child support payments get less attention, even though Gore said it’s a common problem, at least in his industry. Most lawmakers focus on how much the state loses in taxes and unemployment insurance, and for several sessions have filed legislation to crack down on the practice in the construction industries. But Gore said there is less of a focus on child support payments because, in part, it’s difficult to know how much money isn’t being collected. “The child support part of it is that’s it really hard to quantify how extensive it is,” he said. The Texas attorney general’s office can order employers to garnish wages for several reasons, including delinquent child support payments, and doesn’t track how workers are classified. Under current law, whether a worker is classified as an employee or contractor shouldn't make any difference, the office says. “We wouldn’t keep information related to that distinction because regardless of whether the employer considers the individual an employer with a salary or an independent contractor, they are required to withhold regardless of that classification,” said Janece Rolfe, an office spokeswoman. But when unscrupulous employers misclassify workers and pay them cash or "under the table," garnishing their wages becomes a challenge. That doesn’t mean that the attorney general's office isn’t aggressive when it comes to collecting unpaid child support, Rolfe added. "That’s for the purpose of new hire reporting," she said. "Not only do employers honor wage withholding orders when we send them one, but they are also required to report any newly hired individual to us within a certain time frame." Gore said some in the private sector are also doing their part. In his South Austin office, Gore has binders of documents related to cracking down on worker misclassification. He concedes his motivation is, in part, strictly business. But there are other reasons. Disclosure: Rex Gore is a donor to The Texas Tribune. 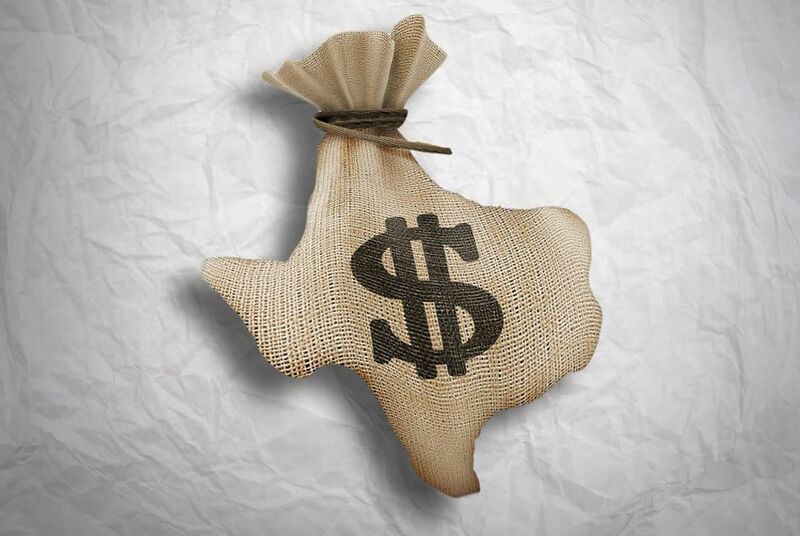 A complete list of Texas Tribune donors and sponsors can be viewed here.